If you are looking for a Bay Villa with peaceful and quiet surroundings, # 37G 2 is the perfect location offering a private pathway entry with lush tropical landscaping. As you enter you will find the upgraded slate flooring in the entry, dining room, kitchen and bathroom. 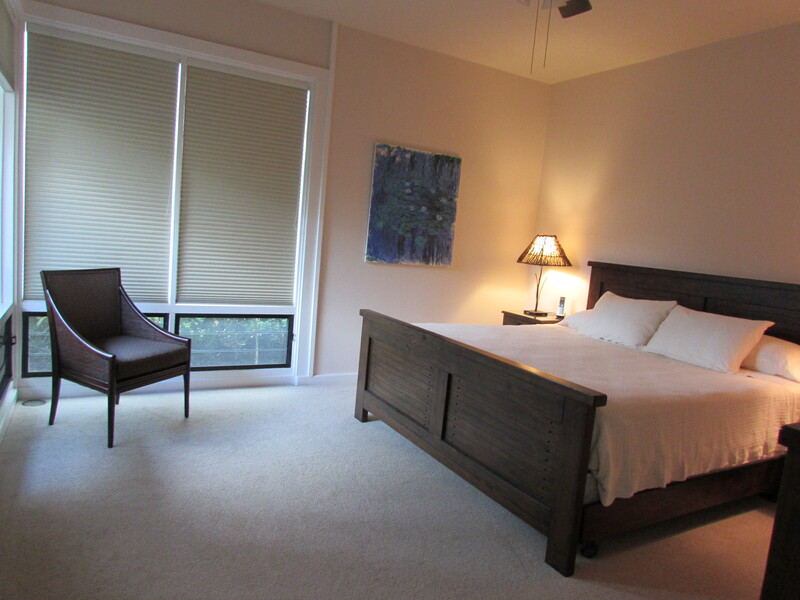 Freshly painted bedroom with new berber carpeting completes the look with matching living room carpeting. This one bedroom, one bath ground floor condo offers upgrades to the kitchen and bathroom vanities. The kitchen offers stainless steel appliances including a new Samsung dishwasher, LG microwave, Kenmore side by side refrigerator with ice maker and smooth top range. The upgraded Thomasville wood cabinets in the kitchen and bathrooms add a tasteful style inclusive of the granite tile counter tops. The condo will be sold furnished complete with living room, dining room and bedroom set. With large bay windows looking out onto the extensive grass area fronting this location it is a perfect place for children to safely play or to set up a game of croquet. Short walk to Kapalua Bay and the prestigious Montage, Kapalua Bay and Spa. This condo is priced to sell at $782,000, which is over fifty thousand dollars less than any other Bay Villa listing. The Kapalua resort consists of two championship golf courses, tennis center, walking trails and of course beautiful beaches and delicious award winning restaurants.